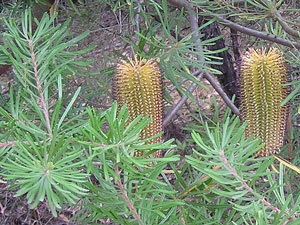 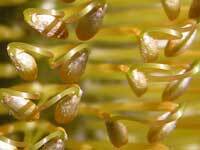 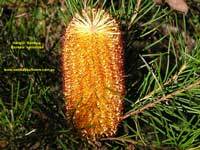 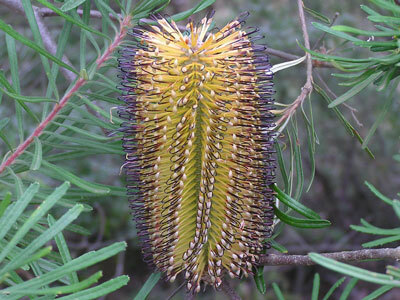 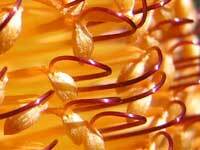 The Hairpin Banksia occurs along the eastern coast of Australia, from Victoria to northern Queensland, as well as the adjacent ranges. 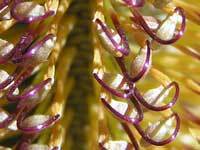 As the images show, the flower's styles are like hairpins. 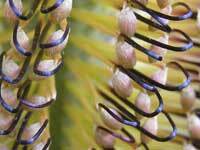 It flowers in autumn and winter, and besides the black styles shown in the image to the right, the hairpins also come in purple, red and yellow - see images below. 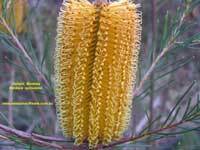 The photos were taken in the Lane Cove and Blue Mountains National Parks. 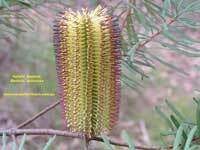 The Hairpin Banksia bush in flower is easily recognised. 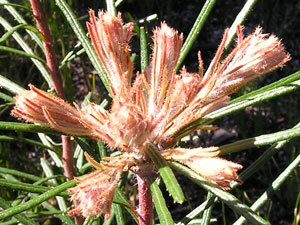 Its new growth in spring is very distinctive.